Financial solutions: R-Money’s Sudip Bandyopadhyay. Mumbai: Reliance Money, or R-Money, the equity brokerage arm of Reliance Capital Ltd, part of the Reliance-Anil Dhirubhai Ambani Group (R-Adag) of companies, is entering the investment banking business at a time when several global investment banks have collapsed, merged with other companies, or turned into banks. “There are a lot of smaller and medium-size companies, emerging companies, which do not get adequate attention from the bigger merchant banks. We will focus on this segment," said Sudip Bandyopadhyay, director and chief executive, R-Money. He added that his company aims to “spot companies with the IPO (initial public offering) potential" and work with them until they are ready to float an issue in the market. Bandyopadhyay said R-Money would help companies raise money by tapping private equity firms if they were not ready to sell shares to the public. He admitted that companies were nervous about raising money from the public in the wake of the global credit crunch that has roiled markets, but said R-Money had the answer to that. “If we are confident about the prospects of a company, we will underwrite 100% of its IPO. That’s the way to go about issues in such markets." R-Money’s entry into investment banking comes at a time when global markets are going through a credit crunch that started a little more than a year ago with problems in the mortgages business in the US and which has, in a climax that has continued over the past few weeks, resulted in the collapse of several US and European finance firms. It also comes in a bad year for investment banking. According to a 14 September Mint report, an analysis of data by Nexgen Capitals Ltd, the investment banking arm of New Delhi-based outfit SMC Global Securities Ltd, shows merchant banking fees charged for public issue transactions have dipped 56.35% on an annualized basis: from Rs811 crore in 2007 to Rs236 crore year to date. The data is based on the Rs59,807 crore raised in 2007 compared with Rs37,743 crore, year to date, a 16% drop on an annualized basis. An analyst who tracks the company for a Mumbai brokerage and who did not want to be identified said the move was a “logical step" for R-Money because it completes its “bouquet" of financial services. The analyst added that while a Tata group company or a Aditya Birla group company might not “come to them", because they compete at some level with R-Money’s affiliates in R-Adag, there were “hundreds" who would. R-Adag has interests in businesses such as power, finance, telecommunications and entertainment. 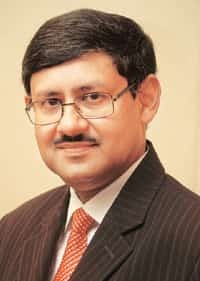 “In cases of mergers and acquisitions, there may be some hesitation from competing companies, but for IPOs and other fund-raising cases, there will be no such issue," said Bandyopadhyay. He added that the company would be involved with the fund-raising activities of its affiliates but wouldn’t be the sole investment banker for them. Bandyopadhyay said he had already hired 25 people for the business and intends to hire 75 more. He added that R-Money had been looking to work with companies in the infrastructure, telecommunications, media, power and energy sector and will likely manage an “IPO for a large construction conglomerate" and a global depository receipts issue for a mid-sized information technology company. R-Money has a so-called category 1 investment banking licence from India’s capital markets regulator Securities and Exchange Board of India, or Sebi. There are around 100 companies that have this licence which allows an investment bank to help domestic companies through all forms of fund-raising in the Indian as well as international markets, manage buybacks of equity and underwrite issues. Only 10-15 of these firms, however, are active, said Bandyopadhyay. R-Money plans to leverage its customer base of more than three million and more than 20,000 distribution centres to effectively distribute the IPOs it handles. “We are the biggest brokerage house in the country and that will be a strength when we are handling an IPO," said Bandyopadhyay. Analysts, however, continue to be concerned about the prospects for some of Reliance Capital’s businesses. In a 22 September note, Motilal Oswal Securities Ltd’s analysts Manish Karwa, Ajinkya Dhavale and Alpesh Mehta wrote that they expect R-Money to make profit of Rs90 crore in the current fiscal and Rs130 crore in the next fiscal. “While the execution capabilities of the management are commendable, growth uncertainty has increased in current environment across businesses. We have reduced our fair valuation for general insurance, broking and consumer finance businesses due to bleak outlook on either business growth and/or profit growth," they added, downgrading Reliance Capital to “neutral" with a revised target price of Rs1,340 a share. On Monday, shares of Reliance Capital closed down 6.99% at Rs1090.80 each on the Bombay Stock Exchange on a day the exchange’s benchmark Sensex index fell 3.9% to 12,595.75 points.